The American Metalcraft GR1435 glass rack provides a way to elegantly store and display stemmed glasses. These glasses are securely held and can be removed without trouble. Users can assemble and hang the rack with little effort. 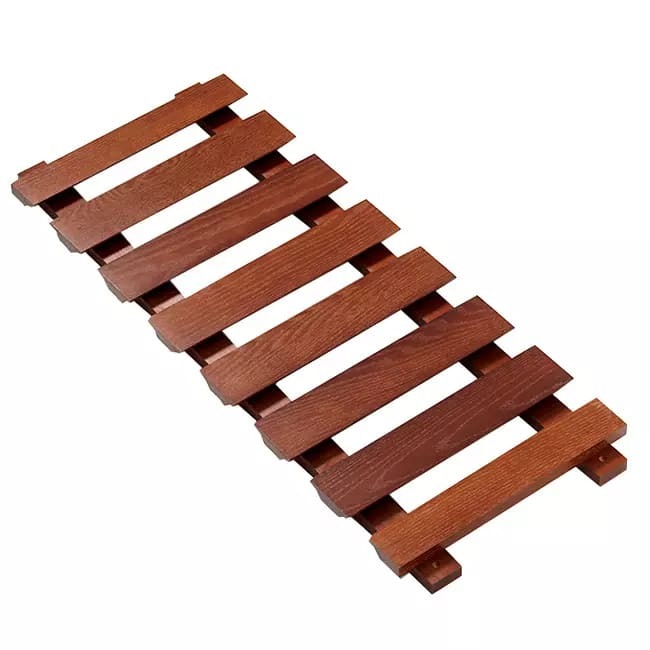 The American Metalcraft GR1435 glass rack is made of wood with an appealing walnut finish that provides a classic look and works well in a variety of décors. 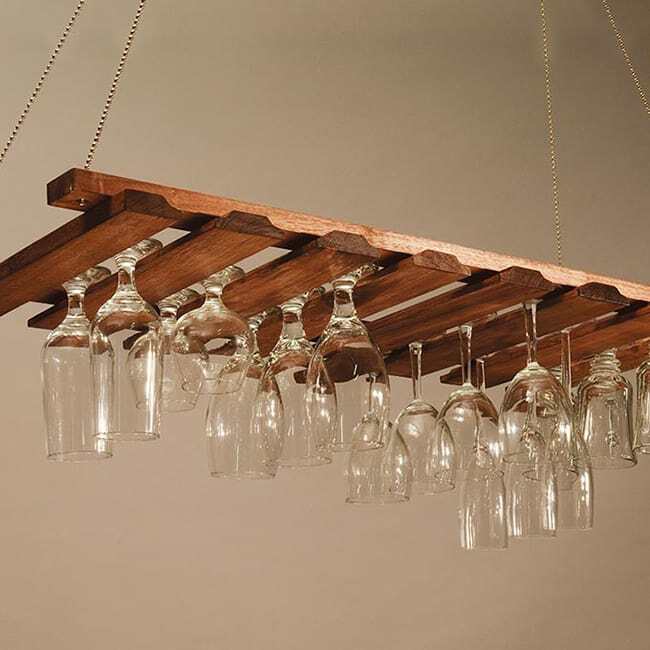 "I turned this upside down so I could hang it from the rafters in my outdoor wet bar under the cabaña (had to step drill so the chains would hang..."
"Slots are too narrow for 99% of the glasses out there. Clearly nobody reviewed the design before building it. Not one of my glasses fit. Even..."
"I turned this upside down so I could hang it from the rafters in my outdoor wet bar under the cabaña (had to step drill so the chains would hang it properly), and screwed wire wine glass rails to it which are what I am hanging the glasses from. This is where I set all the tumblers and other glasses on top of. I think it is way cool! See photo." "Slots are too narrow for 99% of the glasses out there. Clearly nobody reviewed the design before building it. Not one of my glasses fit. Even the smaller ones don't fit. 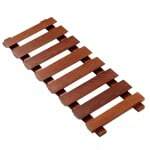 Stay away from this glass rack."